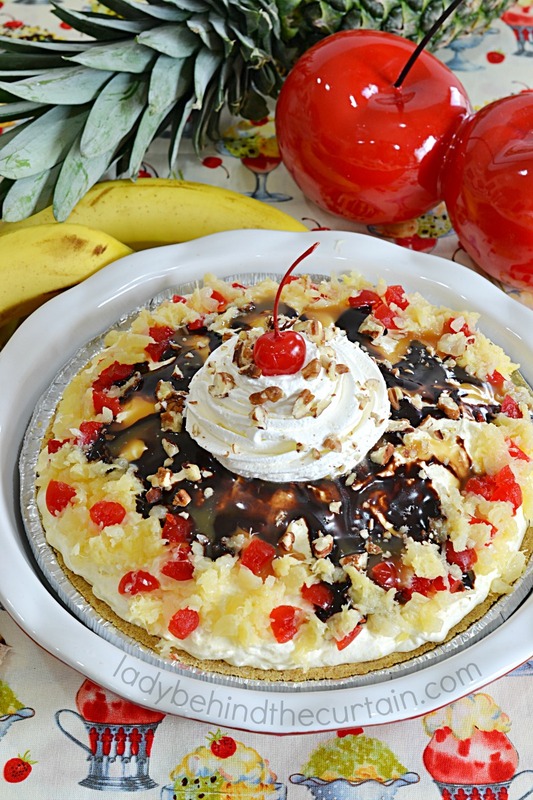 No Bake Low Fat Banana Split Cheesecake | Cool off with this refreshing summer dessert that tastes great without all the guilt! Enjoy a nice slice of pie with less calories. 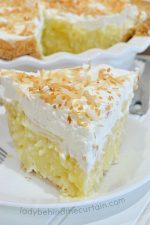 This delicious cheesecake is made with fat free pineapple sherbet, slices of banana, low fat cream cheese and low fat cool whip and more delicious ingredients. 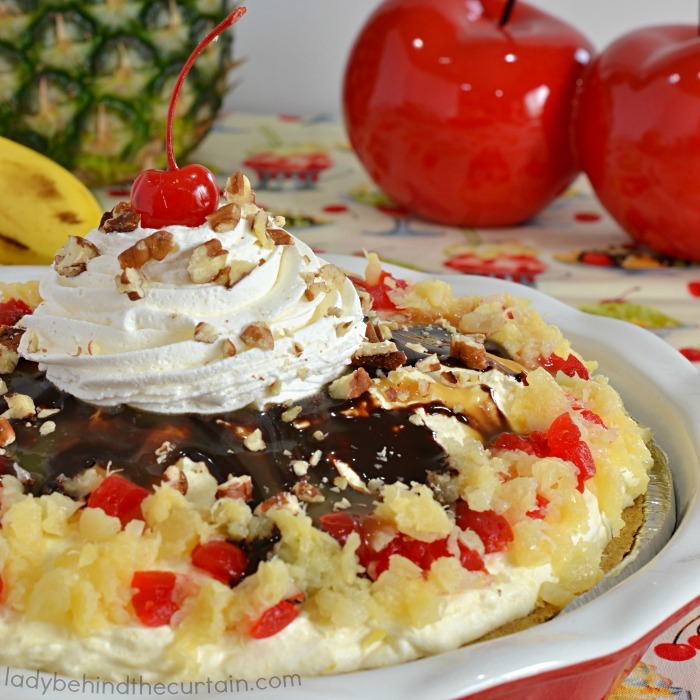 Next time you’re in the mood for cheesecake make this delicious No Bake Low Fat Banana Split Cheesecake! This nice low calorie spin on a banana split tastes amazing! It really does taste like a banana split. 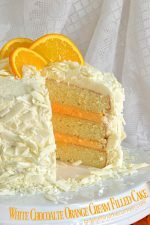 You don’t have to wait to have a dinner party to make this cake! 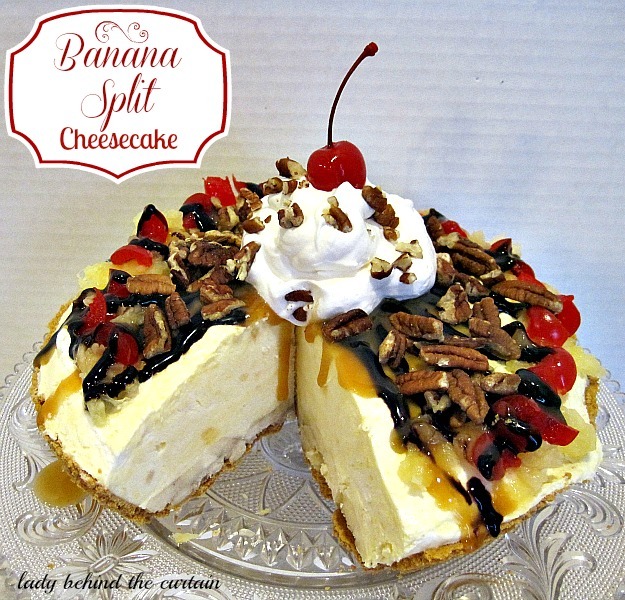 Slice up this delicious No Bake Low Fat Banana Split Cheesecake, add pieces of wax paper between each slice and freeze in an airtight container for a quick an easy single serving dessert. Maybe you were looking for a true baked cheesecake well you’re in luck! I have a whole category dedicated to just cheesecake recipes. Click here for over 60 recipes—->>>>CHEESECAKE RECIPES. In a small bowl, combine bananas and 2 tablespoons reserved pineapple juice; let stand 5 minutes. Arrange bananas over bottom of crust; set aside. In a large mixing bowl, beat cream cheese and 2 tablespoons reserved pineapple juice. Gradually beat in pudding mix; beat 2 minutes longer. Refrigerate 1/3 cup pineapple until serving; fold remaining pineapple into cream cheese mixture. Fold in 2 cups whipped topping; spread evenly over banana slices. 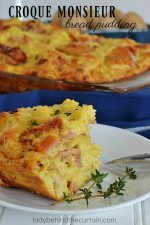 Remove from the freezer 10-15 minutes before serving. Chop three maraschino cherries and pat dry; arrange cherries and reserved pineapple around edge of pie. 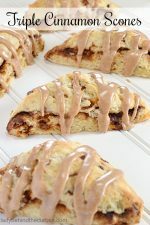 Drizzle with chocolate syrup and caramel topping. Dollop remaining whipped topping onto center of pie. Sprinkle with pecans; top with remaining cherry. Whoa. This looks amazing! I love the idea of pineapple sherbet/cheesecake. Thanks for sharing! What a great treat, this looks delicious. Hope you have a great week end and thanks for sharing with Full Plate Thursday! Wow. I could just stick my face into the whole plate….lol Thanks for sharing at Church Supper! I love it! 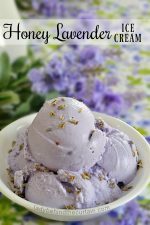 And, I love pineapple sherbet so I know this has to be delicious! Thanks for sharing on Sweet Indulgences Sunday. That looks divine! 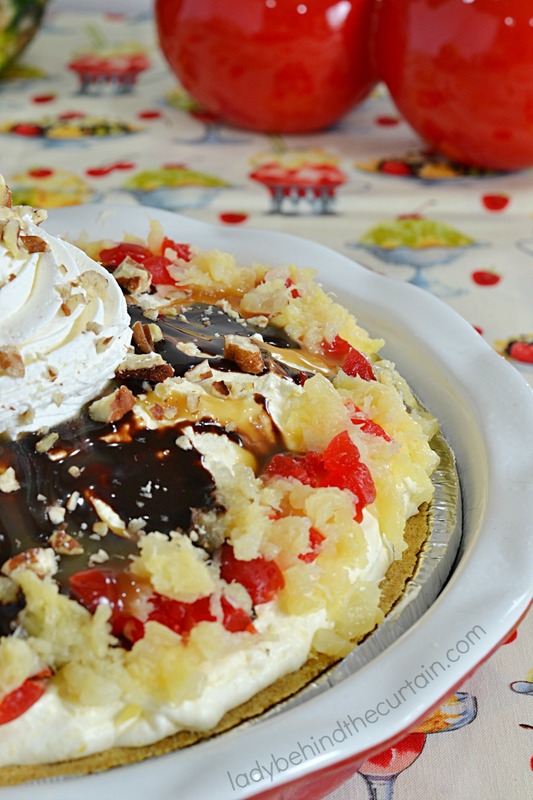 Banana split and cheesecake, you can’t really go wrong with that combo around here! Thanks so much for linking it up and sharing it with our readers today! 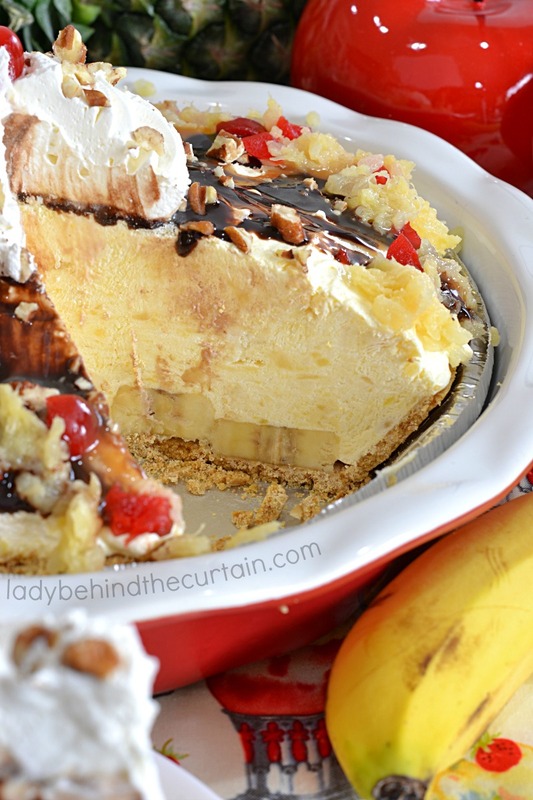 You had me at cheesecake, but the banana split made me drool!!! I pinned this recipe to Pinterest. Sounds to die for! Thank you so much for linking up to It’s a Party! I can’t wait to see what you cook for us this week! OMG…..this looks so yummy. There is no one thing I dislike in there….love it! Visiting from Sweet Tooth Friday. Have a wonderful weekend! 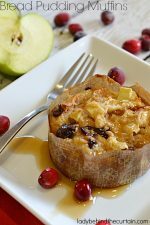 Love this recipe, it was featured on the At Play Blog today!